Japanese animated series for TV and movies have always been a global hit. There is an incredible quantity of anime, including a wide variety, and that makes it hard to create a list of famous anime shows that doesn’t leave any popular ones out. 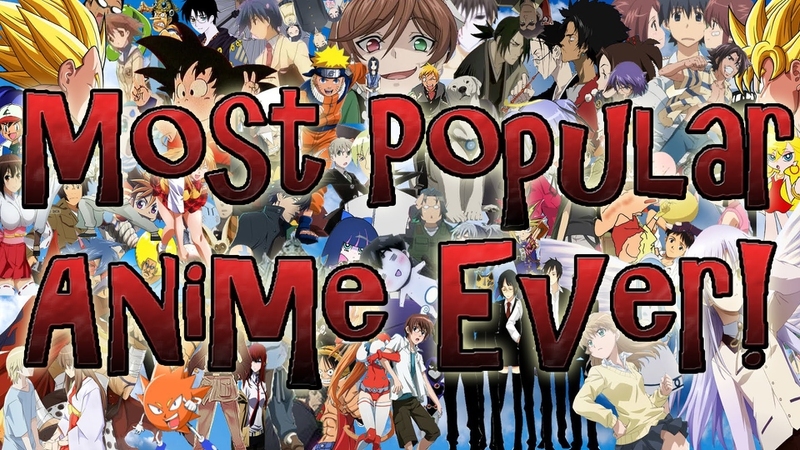 This list does, however, include 10 of the most famous anime series to the fans who just start to get interested in anime. Death Note is a manga series from Japan which Tusgumi Ohba writes and Takeshi Obata illustrates. This popular anime series follows the high school student Light Yagami, who finds a supernatural notebook which lets anyone kill someone if they know their name and face. In the series, Light tries to create then rule a world that is free from evil, by using the notebook to hold God-like powers. Throughout the series, detective L tries to stop Light. In this anime series, the Holy Empire of Britannia started a conquest campaign on August 10, 2010, aiming to overtake Japan. Britannia completed their goal in just one month because of their Knightmare Frames, mobile humanoid armored vehicles. They then stripped Japan’s identity and rights, naming the country Area 11. The Elevens live in poor conditions and the series follows the exiled Imperial Prince of Britannia, Lelouch, who poses as a student and is in the middle of the conflict. After meeting C.C., Lelouch gets the power of a king, his Geass and aims to bring down Britannia. The father of the Elric brothers abandons them and their mother dies, so they try to use a human transmutation to get their mother back, but lose their bodies in the process. Edward wants to get his brother back to his bodily form, so he has to join the military to get the necessary alchemical privileges. There is a war coming and that makes the brothers question their morals as well as human value. Alchemists study as well as perform alchemical transmutation, the ability to transform objects into other ones, but must follow alchemy’s basic law: something must be sacrificed to gain something else. Edward Elric, the Fullmetal Alchemist, is the main character in this series. He nearly lost Alphonse, his younger brother, to an alchemical accident, but was able to connect his soul to a suit of armor, but lost his limbs. In the series, the brothers search for the Philosopher’s Stone to significantly increase an alchemist’s powers. During their search, they discover a dangerous conspiracy and learn risks associated with the Philosopher’s Stone. This popular anime series follows Naruto Uzumaki, who is a knuckle-headed and hyperactive ninja living in the Hidden Leaf Village, Konohagakure. Right before he was born, the demon known as Nine-tailed Fox, Kyuubi, attacked Naruto’s village. To protect the village, its leader, the 4th Hokage, sealed the demon inside Naruto and sacrificed his life. Naruto is shunned because of the demon and tries to gain a place for himself as the Hokage of the town. The Pirate King, Gol D. Roger was the most infamous and strongest being sailing the Grand Line. When the World Government captured him and he died, his final words told where One Piece, the world’s greatest treasure was. This revelation leads to the Grand Age of Pirates who searches for One Piece as the owner become the Pirate King. 17-year-old Monkey D. Luffy becomes a pirate due to the wonder and desire to have adventure. He travels the Grand Line searching for adventure and One Piece, finding mysteries and enemies along the way. This famous anime series follows Kurosaki Ichigo, a 15-year-old high school student who can see spirits and ghosts. He meets shinigami Kuchiki Rukia when she injures herself, saving Kurosaki as well as his family from the attack of a Hollow. Rukia gives Ichigo her shinigami powers because she can’t defeat the Hollow. After that, she can’t do her job, so Ichigo takes her place and they work together to defeat the other Hollows in the town. This popular anime series takes place in 2071 A.D. when humanity lives in the stars after being forced to leave Earth. The people are now a mix of peoples and races due to the collapse of nations and they go to the stars, with their ideas of love, illegality, violence, and freedom. The outlaws at this time are known as Cowboys. The series follows Spike, a drifter, and Jet, a cyborg cop who is retired, and together they run a bounty hunting business. The Bebop is their converted ship that they use to search for criminals who have bounties. Along the way, they meet unusual people, such as Faye Valentine, a femme fatale, and Ein, the intelligent dog. The Diclonius are mutated homosapiens chosen by God that will eventually destroy mankind and has two horns on their heads as well as telepathic abilities. Their dangerous power means that the government captures them and isolates them in laboratories. Lucy is one of these young, psychotic Diclonius who breaks free and then brutally murders the laboratory guards before being shot in her head. She survives, then falls into the ocean off a cliff, eventually drifting to the beach. She is discovered by the teenagers Yuka and Kouta. During the adventure, she loses her memories and can only say Nyuu, so the teens name her this and keep her in their home. Soon it becomes clear that she still has a psychotic side. When Otonashi wakes up, he is dead and Yuri, a girl with a rifle, tells him that he is in the afterlife. All Otonashi remembers is his name and Yuri explains that she is the leader of the Afterlife Battlefront, Shinda Sekai Sensen, waging war against Tenshi. Otonashi doesn’t believe Tenshi is evil and tries to talk to her, with the meeting going worse than expected. After this, Otonashi joins the SSS to fight Tenshi, but is still drawn to her in an odd way. He slowly learns the afterlife’s mysteries while attempting to understand Tenshi and regain his memories. Server responsed at: 04/23/2019 9:49 p.m.